Philadelphia Wedding Bands and Live Entertainment at BVTLive! Ready to book a band? With award winning Philadelphia wedding bands and live entertainment, BVTLive! is Philadelphia’s premier entertainment company offering the best Wedding Bands, Dance Bands, Party Bands, DJs and Specialty Acts. Having the most requested Philadelphia wedding bands in our region, BVTLive! 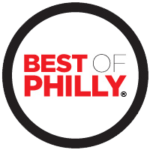 is proud to be recommended by most of Philadelphia’s top hotels, private clubs, and other premier venues. BVTLive! is committed to surpassing your highest expectations by offering you the best dance bands in the Philadelphia area. Our award-winning wedding bands and live entertainment include: Jellyroll, Sid Miller Dance Band, All About Me, Big Ric Rising, The Eddie Bruce Experience, Midnight Hour, City Rhythm, Strangers, Back2Life, Deja Blue, Contagious, and Vinyl Groov. Call us now at (610) 358-9010 to speak to an experienced Event Consultant. Register for a live showcase today. Jellyroll, the award-winning live Philadelphia wedding and event party dance band, has performed at the highest level luxury weddings and events, from The White House (twice) to New York City at The Paramount Theater. The 12 piece Sid Miller Dance Band is known around the Philadelphia area as a sophisticated live wedding band as well as a great corporate event party dance band. The band has performed at celebrity weddings and events, including Tina Fey’s and Inaugural Balls. All About Me is a young, high energy dance band that performs at high-level events, and is known as a great live Philadelphia wedding band, as well as a sophisticated party band that has performed for Google, charities, and other organizations. Big Ric’s reputation as one of the best entertainers and vocalists in the Mid-Atlantic region is not an understatement. The live Philadelphia dance band, Big Ric Rising will leave you with a packed dance floor and an unforgettable event. Eddie Bruce and his band have been rocking the special events industry for over 25 years! As one of the most popular live Philadelphia wedding dance bands and singers, Eddie Bruce is sure to make your wedding or event simply amazing! Midnight Hour is a powerful high energy live wedding dance band in Philadelphia. Covering music from every generation, these eight musicians have performed with popular national acts, and are primed to create an amazing party for you! A three-time “Best of Philly” winner, this Philadelphia party dance band is as versatile as any orchestra. From Big Band and Swing to Pop and Top 40, City Rhythm has been rocking the wedding special events industry for over 20 years. Mixing the old with the new, Strangers has a live energy unlike any other dance party band in the Philadelphia area and beyond. Fun and energetic, with a repertoire that everyone knows and loves, this wedding dance band will make your party amazing! With a background in the Philadelphia area nightclubs and years of experience as a live dance band for weddings, private events, and parties, Back2Life is also an accomplished vocal and musical group that can rock a party! Looking for a versatile band with an edgy style? Check out Deja Blue. With a core group that has been playing together for years, they can play any style and are the perfect live wedding or party dance band for any upscale or club event in Philadelphia. Love old school R&B and Funk? Contagious dance band has been keeping dance floors packed with their soulful sound and high energy around the Philadelphia area for years. Contagious will keep your guests dancing. If you are searching for a unique live wedding or dance band in Philadelphia that mixes music, choreography, and even costume changes into their show, then Vinyl Groov is the band for you! Dance the night away with Vinyl Groov. Create unforgettable memories with the perfect Philadelphia Wedding Bands, DJ’s, or Musicians for your dream wedding! Call us now and register to attend a live showcase. Our event consultants are standing by now. Keep your members entertained and dancing all night with the best live entertainment. Choose from live bands, DJ’s, and specialty acts. Call us now at (610) 358-9010 to get started now. Call us now to book live entertainment or a hip DJ to provide unforgettable music the guests at your Gala or Corporate Party will never forget. Keep your guests dancing all night. Whether you are celebrating a Birthday, hosting a luncheon, throwing a cocktail party, or planning a reunion, we have live entertainment for every occasion. Just tell your event consultant what you need when you call us at (610) 358-9010. BVTLive and Kurt were fabulous! From our very first visit to Ardmore to listen to a few of their bands, we knew right away that BVTLive was going to be the group that we worked with. THANK YOU THANK YOU THANK YOU! Words can't describe how thankful I am to you and the rest of the band for Sunday. We were so lucky to have you there share in the special day and you guys made the party. Thank you for completely killing it. You're the best. Thank you for the wonderful performance at The White House on March 29, 2008. All who attended the reunion had an incredible time, and your music was a highlight of the evening. The guests at our wedding are still talking about how fabulous the music was. Your musicians and vocalists were great. You did a great job of pacing the evening so it felt like a really fun party… I have never been to a party of any type where the people did not stop dancing! - Tina Fey - Star of 30 Rock, Former Actress/Head Writer for Saturday Night Live. Read more reviews on each entertainers page! Join Our Growing Client List!